Japanese Imperial forces embark at Chemulpo (now Incheon) in Korea during the First Sino-Japanese War (1894–1895). 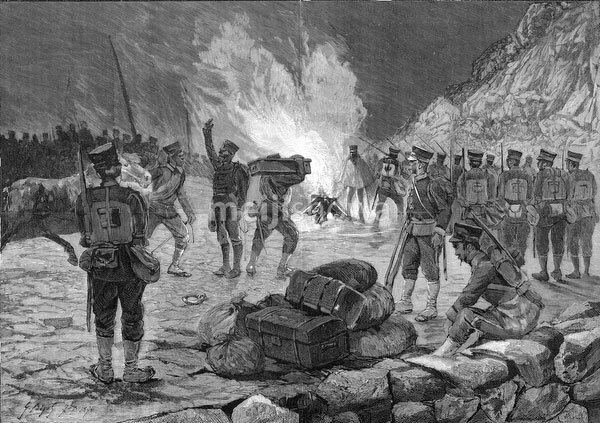 The first of around 4,000 Japanese soldiers and 500 marines landed at Incheon on June 8, 1894 (Meiji 27). Published in the French illustrated weekly Le Monde illustré on December 8, 1894 (Meiji 27). Art by French artist Georges Ferdinand Bigot (1860-1927), famous for his satirical cartoons of life in Meiji period Japan.